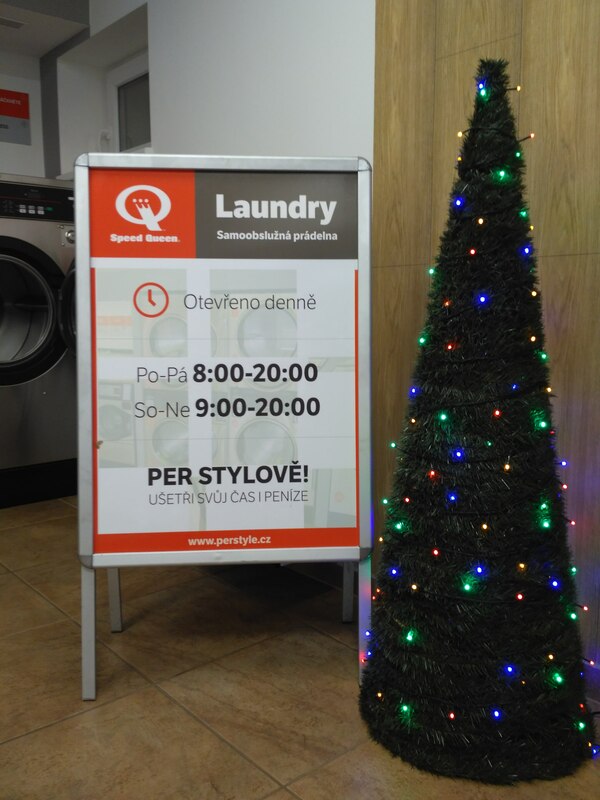 Come and WASH your winter clothes! 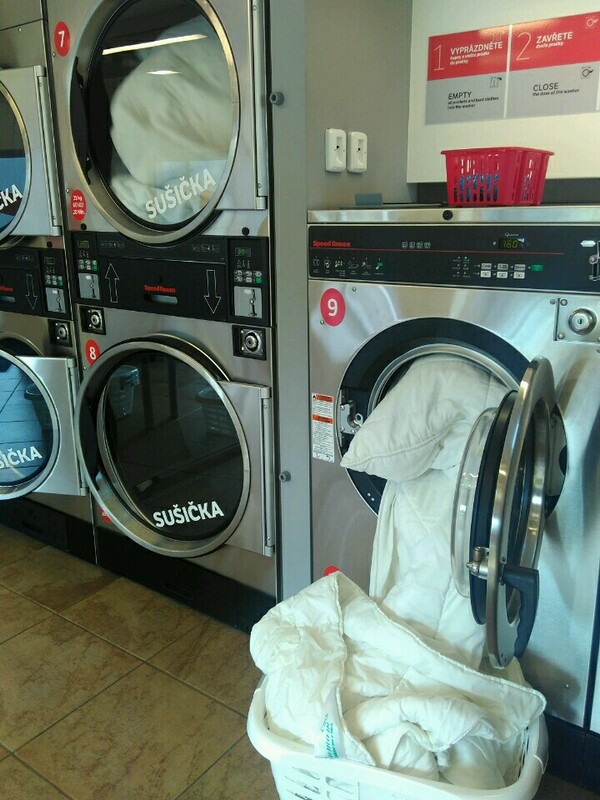 If you've done it, DRY it with us! 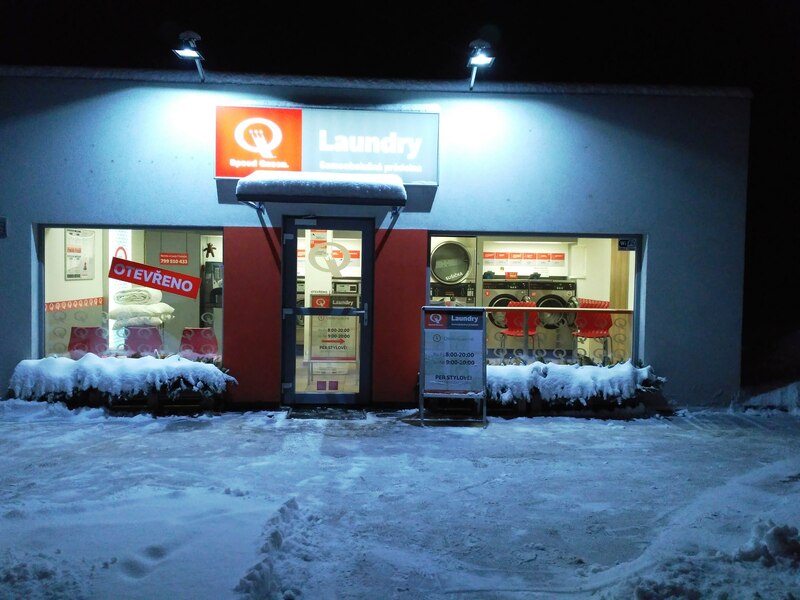 Come and WASH your winter clothes! 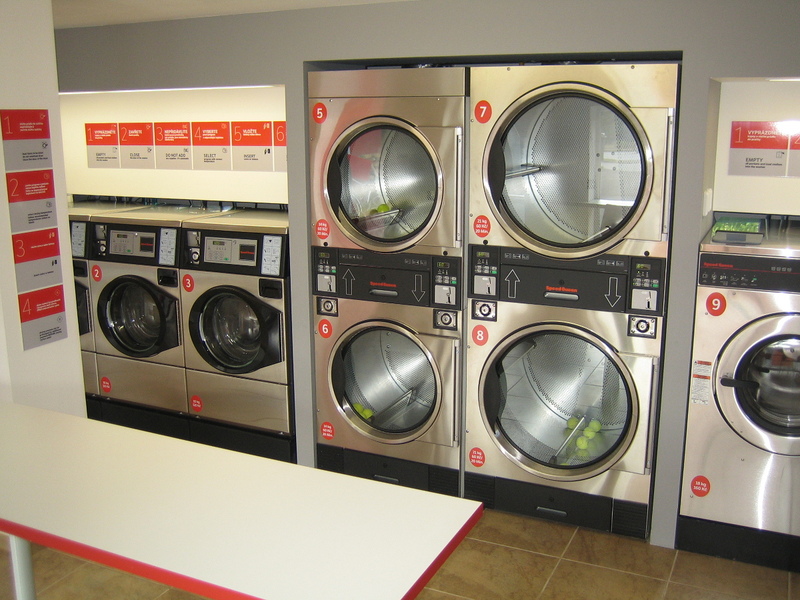 If you've done it, DRY it with us! 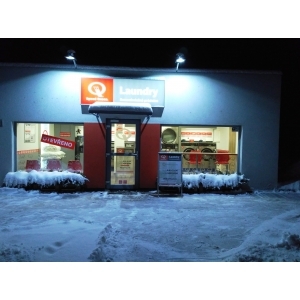 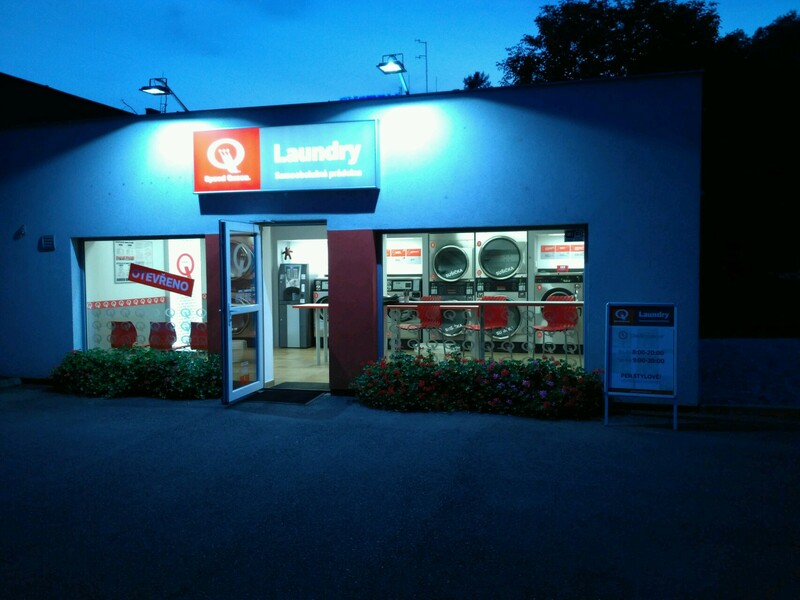 Your laundry will be washed in professional machines of the top quality American company Speed Queen, which are used in laundromats around the world and have excellent results. 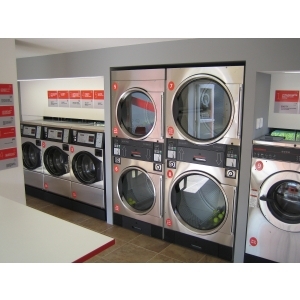 There is a superior detergent and softener added to each load of washing for free. 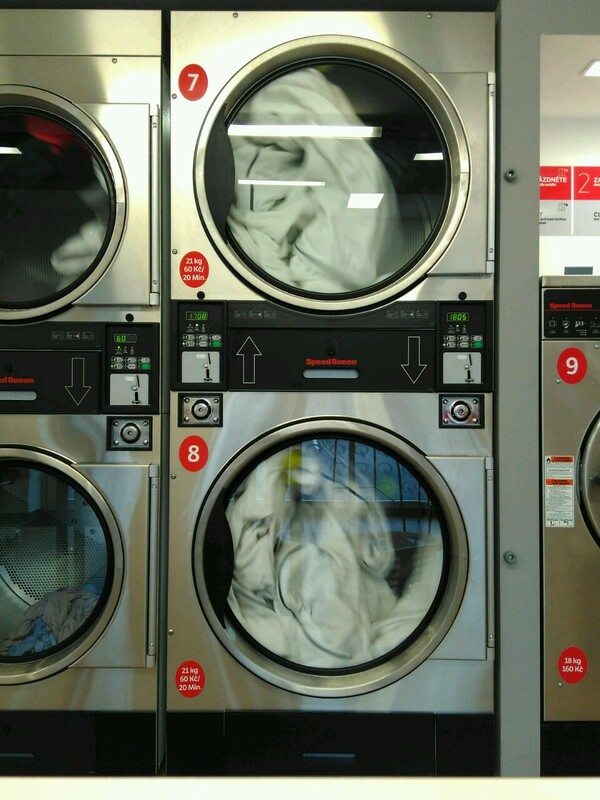 They are automatically added into the washing machine. 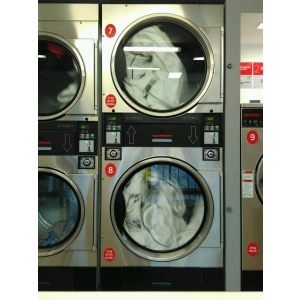 (You can use your own detergent and softener if you wish. 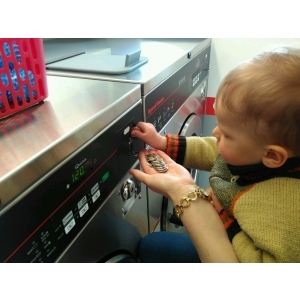 Assistance of the operator is required). 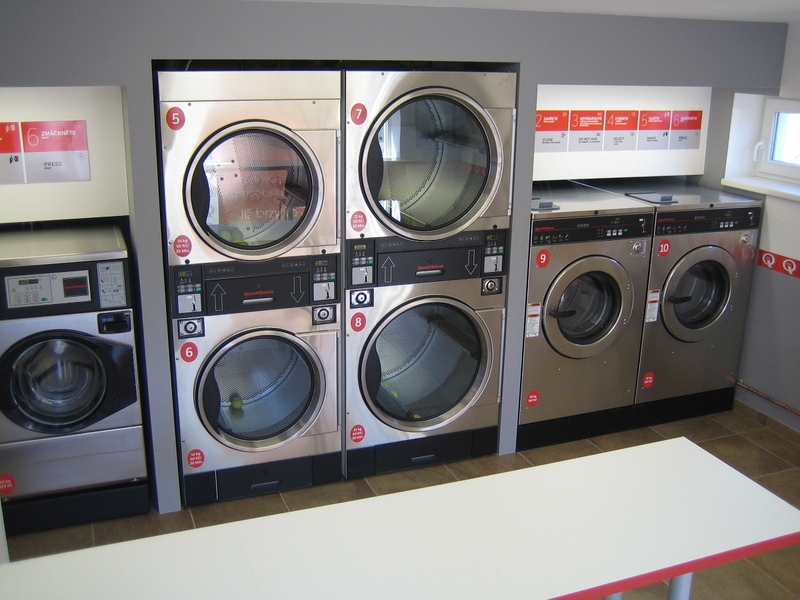 The weight of the laundry is essentially a manufacturers´marketing figure and it has only an indicative meaning for general users. 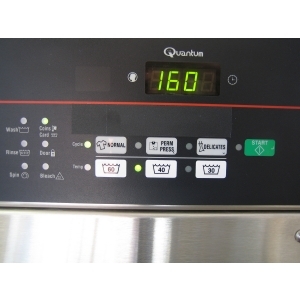 Since most people are accustomed to this fugure, it shows as well. 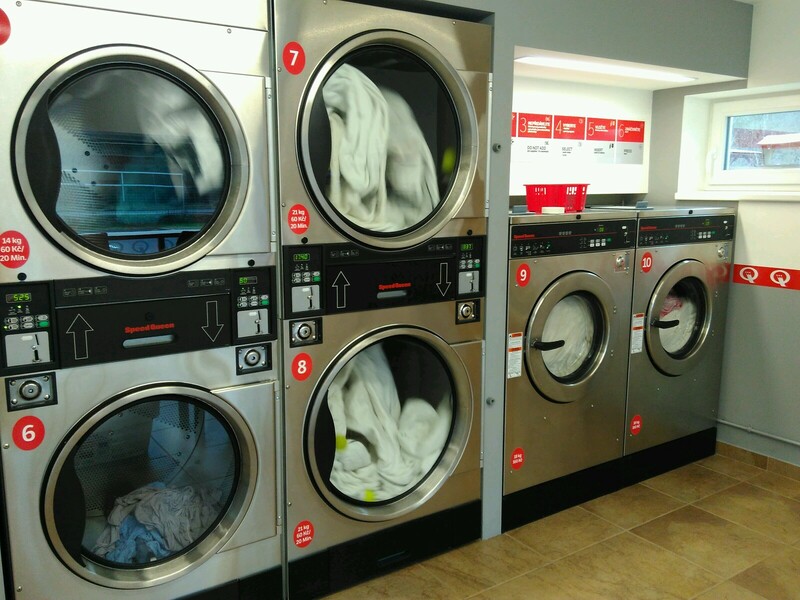 But in general principle: Load the washer approximatelly up to 3/4 of its content so that the laundry were not crammed and a high quality washing was ensured. 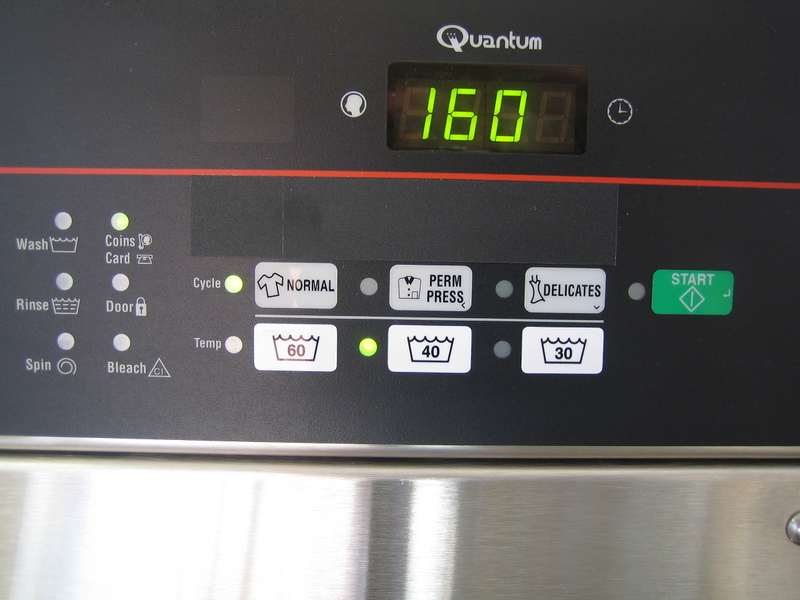 About 45 minutes depending on the temperature and wash cycle. 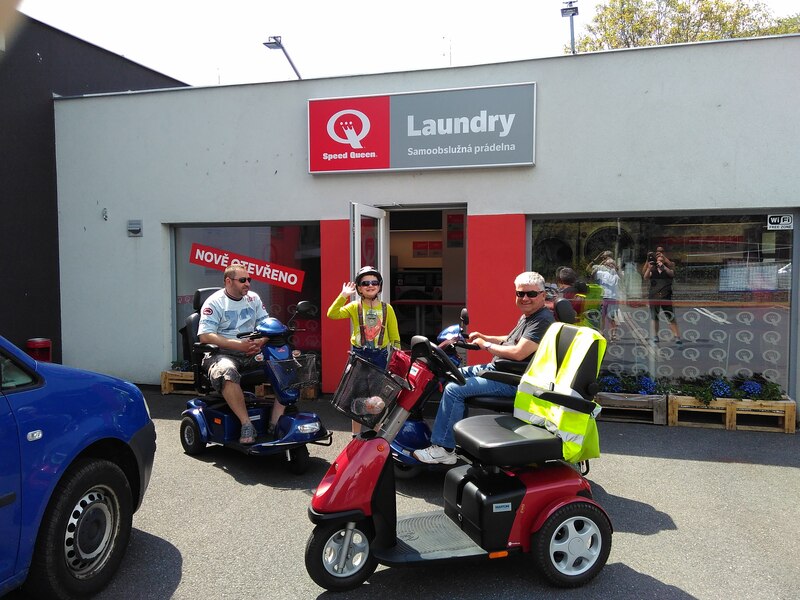 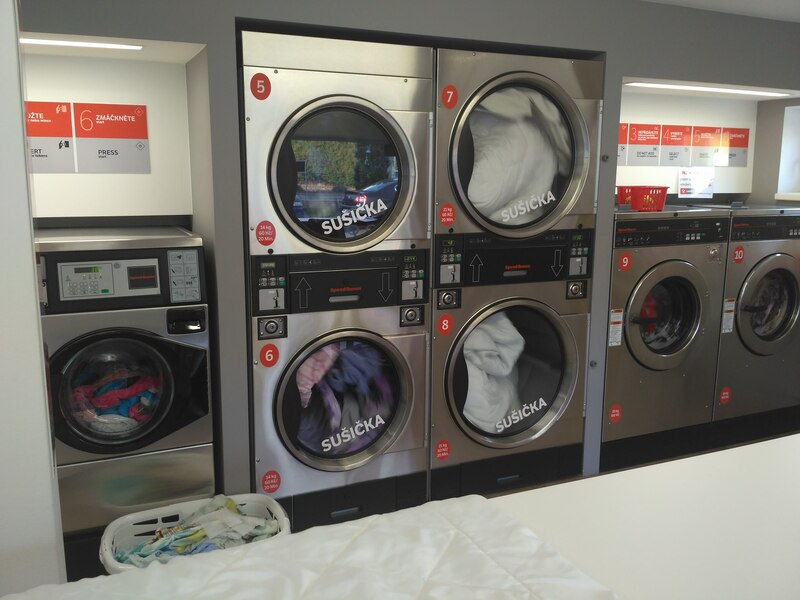 The washing machines are able to wash even bulky laundry - blankets, sheets, pillows, towels, tablecloths, sleeping bags, jackets, seat cushions for garden chairs and others, various sports equipment (jerseys), biker clothing etc. 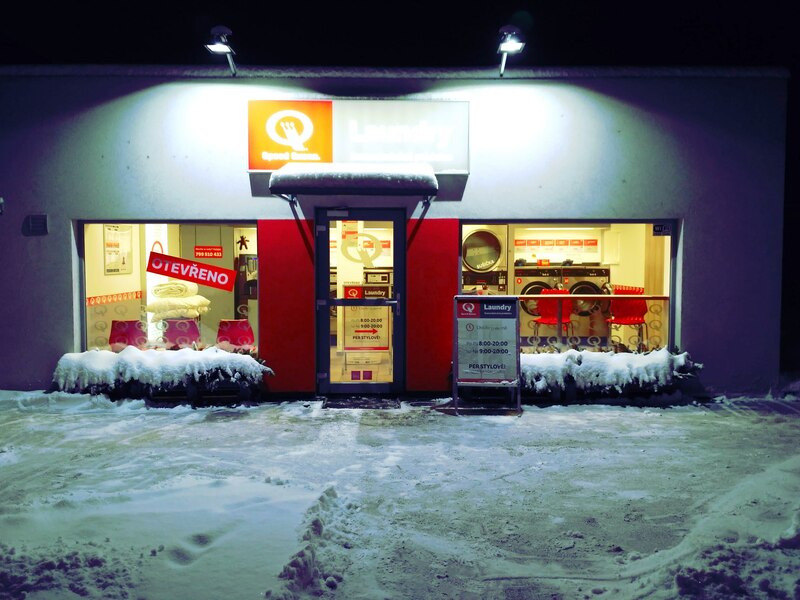 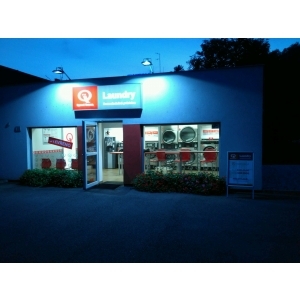 You can also dry up your washed laundry in powerful tumble dryers of Speed Queen brand. 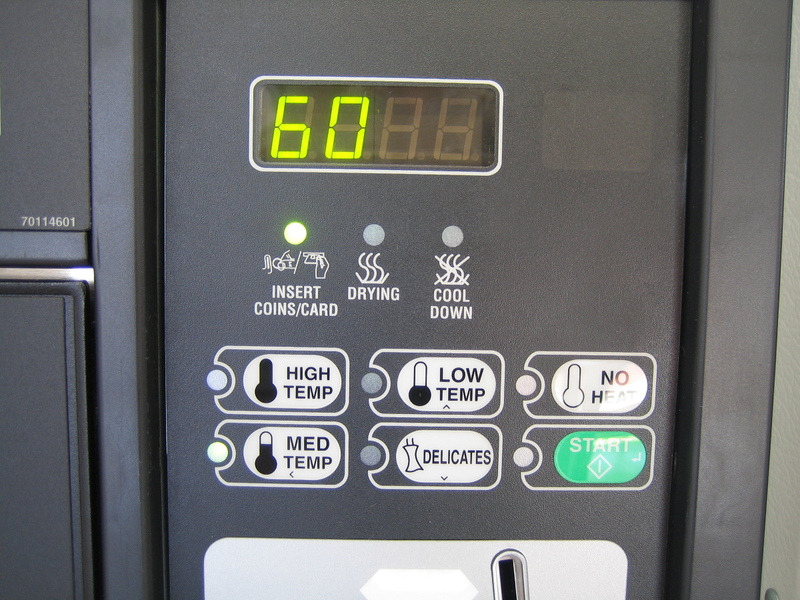 Approximately 20 minutes, depending on the drying temperature. 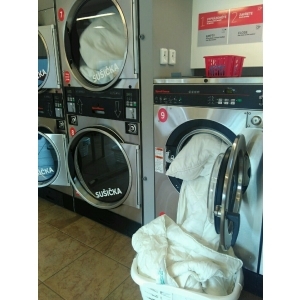 The laundry dried in our dryers will be nicely fluffy and soft. 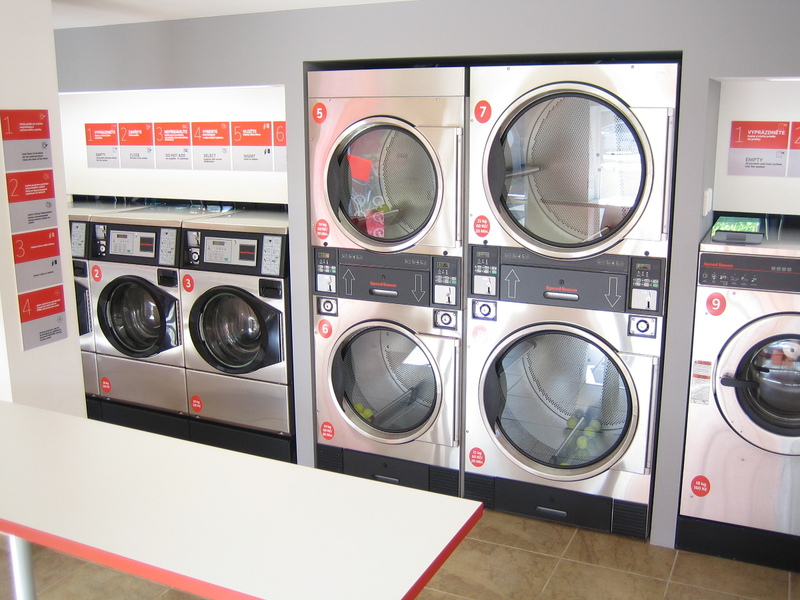 If you are in a hurry simply drop off your laundry, and we will do the rest for you. 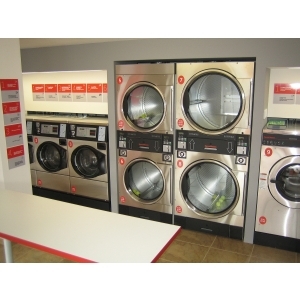 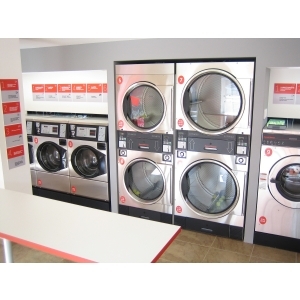 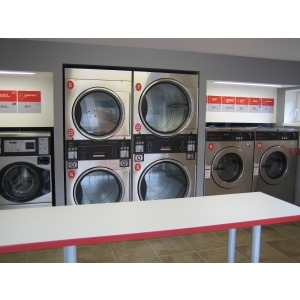 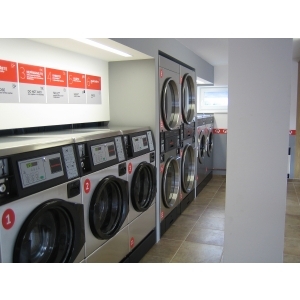 We will wash, dry and fold your laundry and it will be ready for you to pick up at time specified by you. 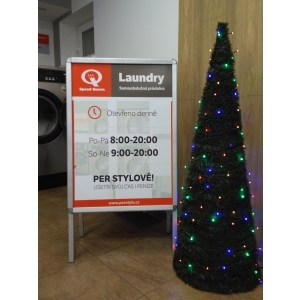 On Saturdays, Sundays and during holidays this service is provided after personal or phone request only! 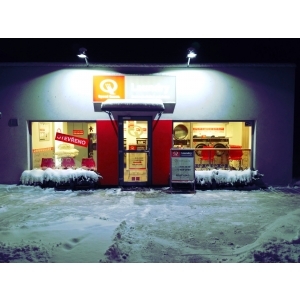 While waiting you can connect to the Internet for free. 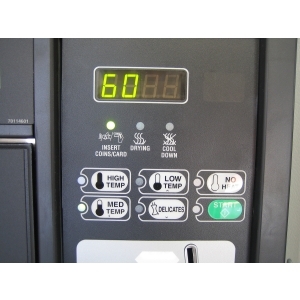 While Waiting, you can enjoy quality coffee from our vending machine. 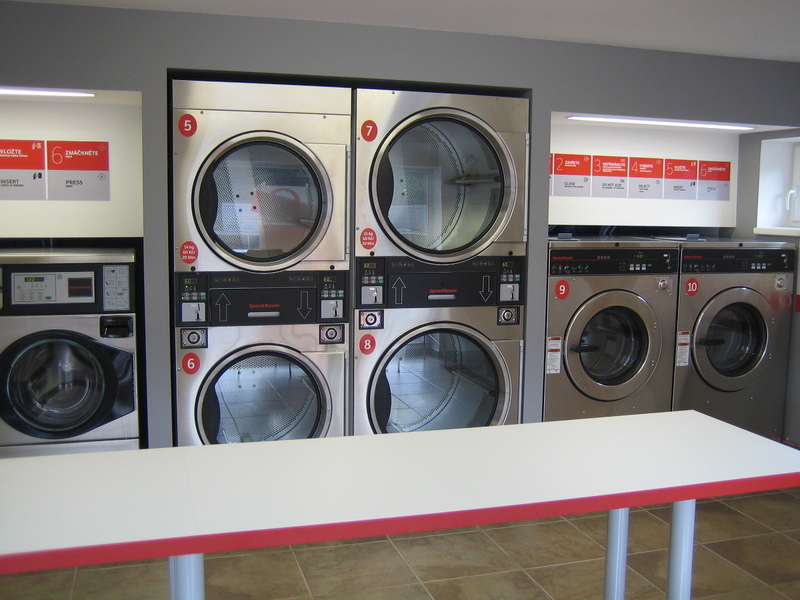 Even if it is self-service laundry, in the initial period there will always be an attendant who will advise and help. 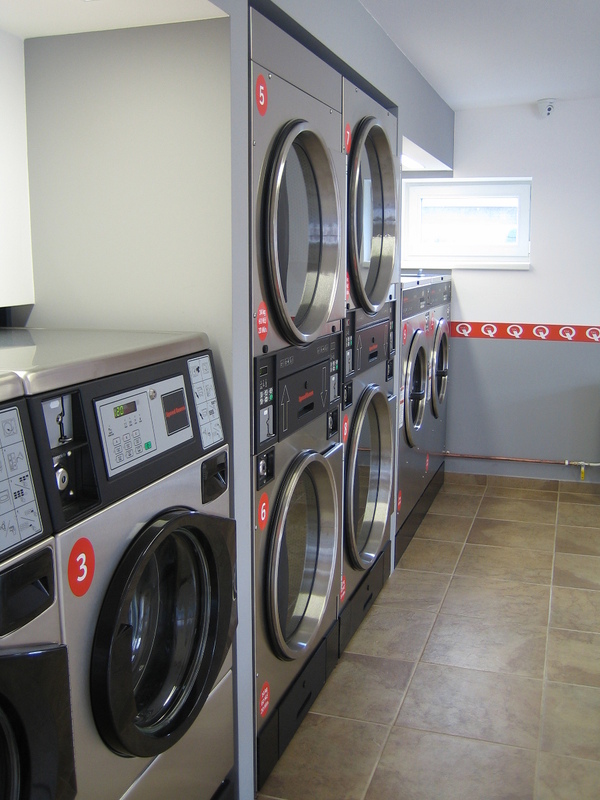 Upon entering the laundry room you will see 9 machines. 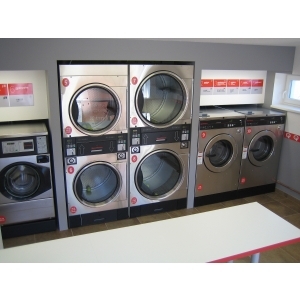 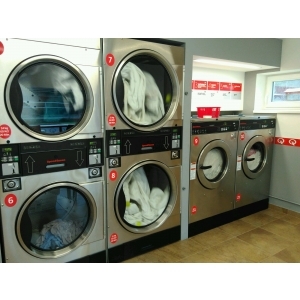 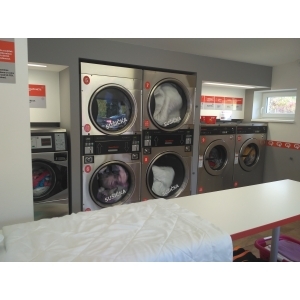 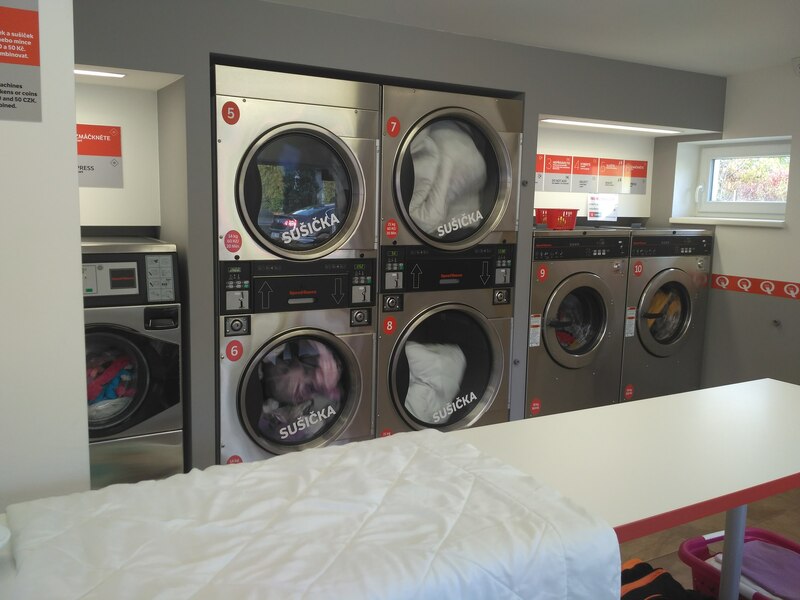 To the left there are three washers - up to 10 kg of laundry each, on the right there are 2 washers - up to 18 kg of laundry each and between them there are 4 dryers situated (two and two above them), two dryers up to 14kg and two dryers up to 21kg of laundry. 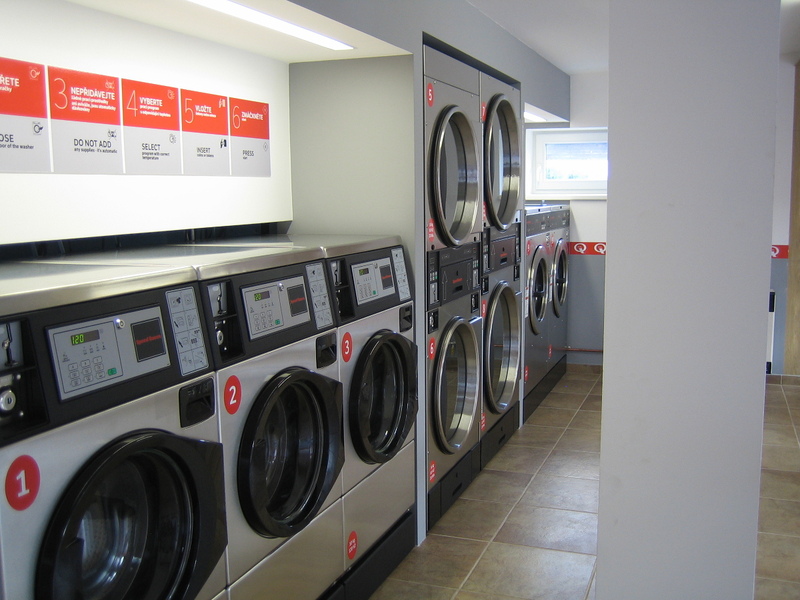 It is easy to transfer the laundry into the dryer. 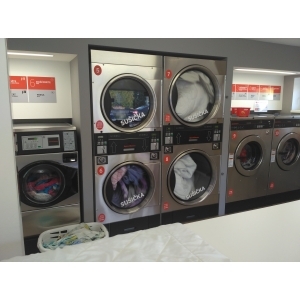 From the 10kg washing machine to the 14kg dryer and from the 18kg washing machine to the 21kg dryer. 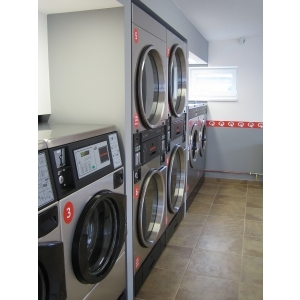 During the drying cycle, the dryer can be accessed at any time and the condition of the laundry checked. 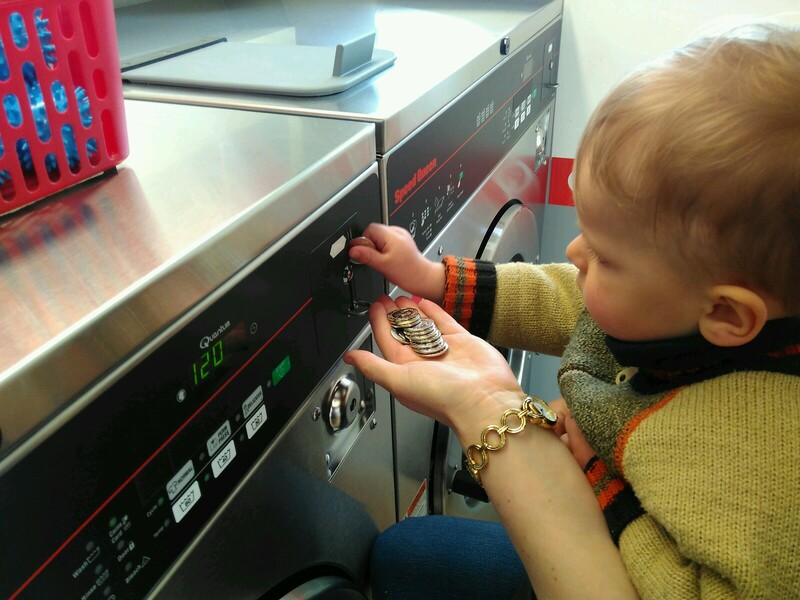 If you want to extend the drying time, you can do so by inserting another coin or token BEFORE completing drying. 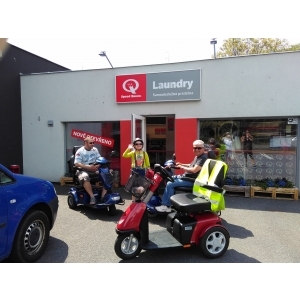 We have plenty of car parking space! 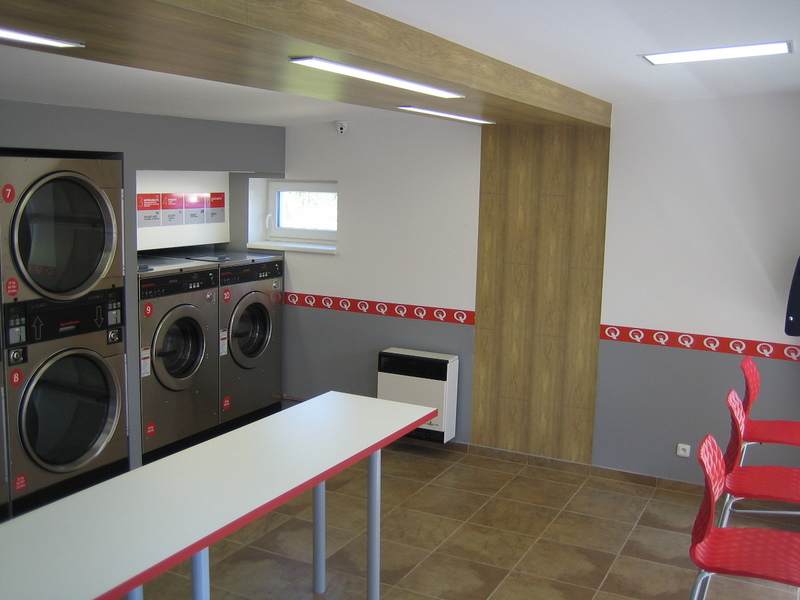 A few steps from the bus stop "Pod Babou"
Drying time depends on the amount of laundry material and can be extended after inserting another coin/token BEFORE completion of the drying cycle.